Through this blog, we are presenting the simple guidelines for converting your PSD design into HTML5 website or any PSD to Responsive HTML5 conversion. As a business owner, many people are concerned about the online image of their business. Thus, they strive to leave no stone unturned in terms of setting up the web pages that express every imperative feature of their business effectively. The web development industry has gone through various changes. Now, HTML5 and Responsive design are trending in the market. Today, in order to empower brand and establish business with unique image through website, it has become necessary for every employer to deploy the PSD to Responsive HTML5 conversion approach, it is very challenging to carry out this process. However, if you want to deploy this approach, then here are the guidelines, elaborated stepwise. At first, you should be aware of every aspect of website so that you can easily sketch design for your web page and ensure that every element like sidebar, navigation, footer, etc. is properly placed. Secondly, you should make the design on Photoshop Layer because this will help you select the relevant element without taking help of Photoshop slice tool. A perfect combination of colors plays imperative role in expressing content and makes the web content attractive. Thus, give some time in experimenting with different colors and their attributes until you find the final color scheme for your design. There are various articles that provide deeper information for making the suitable selection for colors. You can also consider the content by Thomas Canon, “ An Introduction to Color Theory For Web Designers”. This content has beautifully presented a definitive guide to opt for the best colors. HTML5 provides a wide array of advanced features that enable developer to code the web page with superb functionality. This web technology has depleted the use of third party application or plugin. W3C has declared HTML5 as a standard technology worldwide. 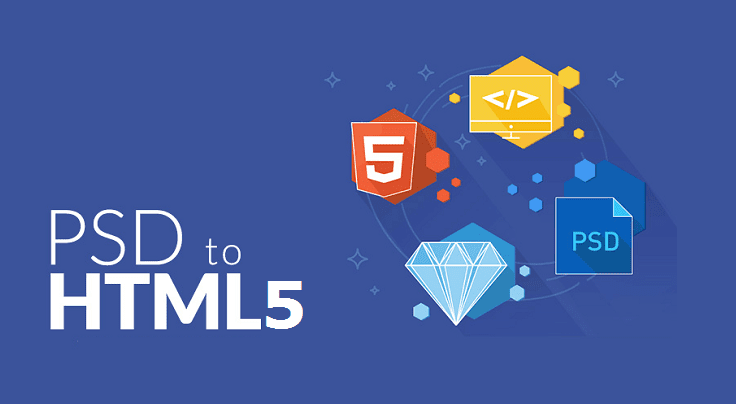 HTML5 is far different from HTML because this latest web technology comes with various attributes that ease the way for defining different types and sections of documents. Most of us are not aware of newly added features in this newest version; hence, it is recommended that you should go through relevant documentation and try to understand the new features and how to use them. This will save your crucial time and deliver the best anticipated outcome. With HTML5, you also have to learn CSS3 (Cascading Style Sheet). CSS3 simplifies the way for setting up the structure of the web content excellently. It reduces line of code and hence, can be helpful in improving the performance of the website. The CSS3 enables the users to integrate 2D and 3D effects in the design, so that the design looks great and expressive. 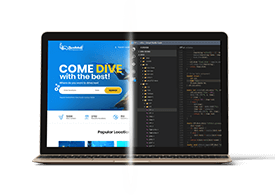 Remember one thing that it is always better to design “Command Button” and other functional elements with cascading style sheet as this will boost the performance of the website. For making the website responsive, the users should implement Media Queries. The CSS3 features media queries that helps the users to develop the responsive website, so that there remains no need to develop other websites for different devices. To know about how to implement this feature, here is a tutorial from W3school. At last, test whether every page of your website is scaled according to sizes of display screen or not. There are various tools available on the internet that can be accessed to check the responsiveness of the websites. PSD to Responsive HTML5 conversion is a brilliant approach to achieve every kind of website. It is not a piece of cake for even a development professionals. Thus, before going to use this approach, everyone should be aware of all the functional features of PSD, HTML5 and CSS3 as well as every required element of the website.